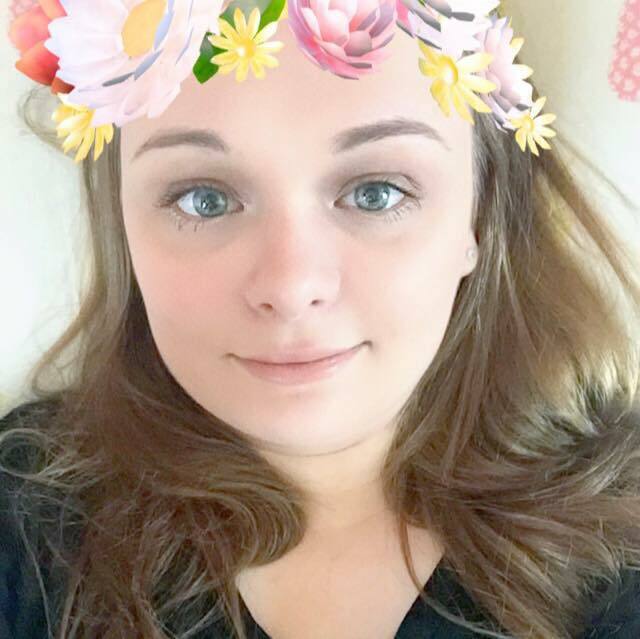 It’s crazy to think that Easter 2016 has already been and gone, the first 5 or so months of the year normally creep past making Spring and Summer appear to be just a myth… What feels like 10 minutes after new years eve is now May the 5th!? 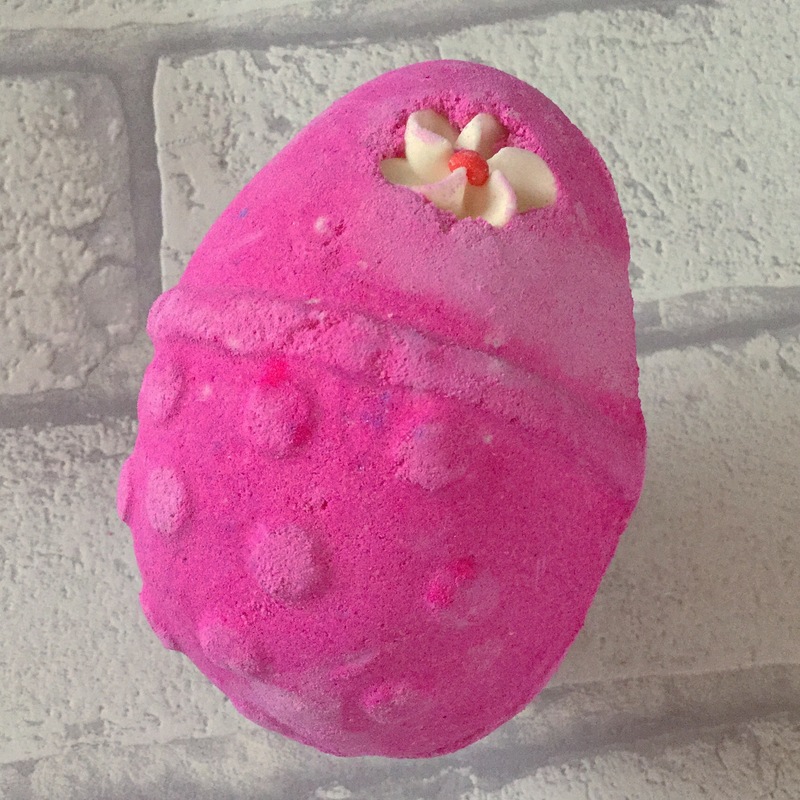 Better late than never, here is my review on the beautiful florally decorated, hot-pink, egg shaped bath bomb called the Fluffy Egg! Sharing its scent with the much loved Christmas shower gel Snow Fairy, Fluffy Egg has always proved very popular with Lush fans, coming back as an Easter exclusive every year since its original release. If you haven’t experienced the Snow Fairy scent before, it’s a very sickly-sweet smell, think bubblegum, oodles of sugar and candy floss galore. I am going to admit that I am one of the very few people that doesn’t get ridiculously excited about the Snow Fairy scent. It’s not at all unpleasant, in fact its a very likeable scent. I however have never had much of a sweet tooth so it’s never going to be my go to product. If I however was faced with the choice of a chocolate Easter egg or this Fluffy Egg bath bomb, I’d pick the bath bomb every time. Upon hitting the water Fluffy Egg starts to fizzle away ferociously. Floating just beneath the surface of the water, Fluffy Egg immediately starts to change your bath water into a sea of pink magic. Although Fluffy Egg is a very fast fizzer its scent stays with you through out the whole of your bath. Not only does Fluffy Egg’s scent stay with you right up until the last drop of bath water goes down the plug hole, it also lingers on your skin for the best part of the day after getting out. I wouldn’t say that this bath bomb was particularly moisturising. Most Lush bath bombs hydrate my skin so much so that I do not have to moisturise myself after. With Fluffy Egg I however found my skin a little dry after I got out of the bath. I just wish I had a Snow Fairy scented body lotion as I hate the idea of masking its scent with another product entirely. Luckily, since first writing this review in May 2016, Lush have blessed us all with a Snow Fairy body conditioner ( first released as a part of Lush’s 2017 Winter line). Although it’s not quite the same as a body lotion, it does a very similar job and it shares the same scent as Fluffy so there’s not two different scents masking one of the other. Fluffy Egg as I said above is a very quick fizzer, the quick fizzers sometimes dissolve away so fast that you don’t get to appreciate some of the patterns a bath bomb can make. 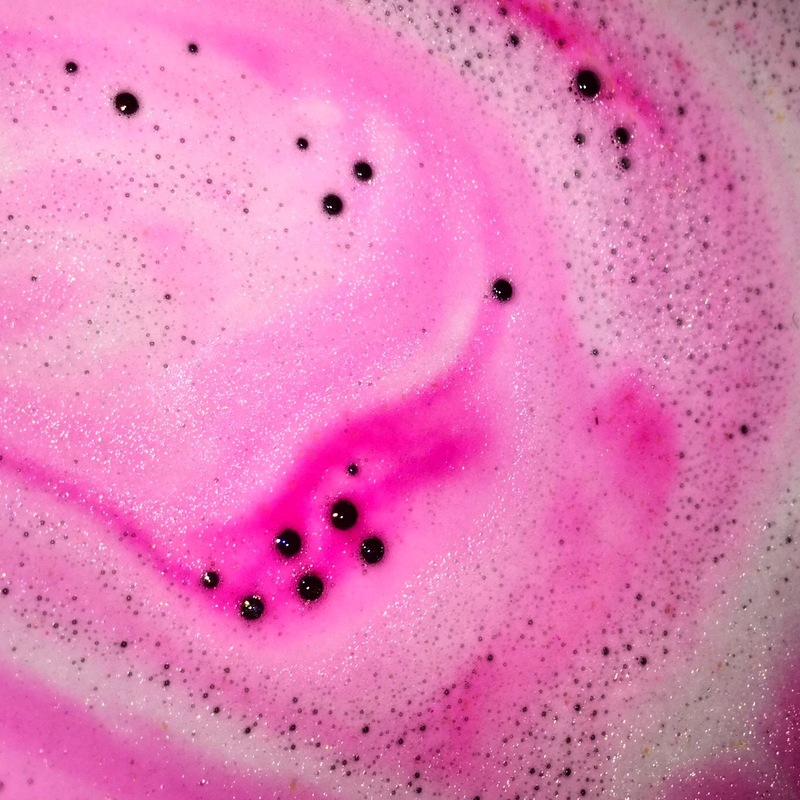 Although the pretty bath art made by the Fluffy Egg bath bomb is nowhere on par to the likes of many other bath bombs, I do love the colour pink so I can’t complain. Sometimes less is more. Overall I think Fluffy Egg is a great addition to Lush’s Easter line and I look forward to hopefully seeing it again in 2017.